Bob’s Red Mill Natural Foods Inc, USA, mills a range of flours, meals and cereals 24 hours a day, 6 days a week. Since starting operations, the company had connected equipment in the process lines, which includes mills, screeners, packaging machines, and other equipment, with standard clamp-and-sleeve connectors. However, these connectors leaked dust into the facility and required a lot of time and labour to remove from the line when cleaning the equipment between product runs. The company needed to find a better way to connect the process equipment to eliminate dust leaks and reduce maintenance. The company operates 13 stone grinding mills, each producing about 900 pounds of various flours or meals per hour. 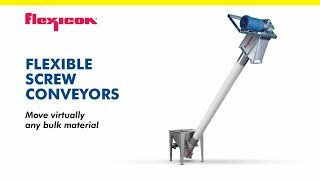 The products moves from a mill to a horizontal vibratory screener that discharges it at a controlled rate to a packaging machine’s auger feeder via a clamp-and-sleeve connection assembly. Since each packaging machine is designed to package more than one product, operators must thoroughly clean the screener and feeder between product runs to prevent cross-contamination. To access the equipment interiors, operators used a screw driver and wrench to loosen a connector assembly’s clamps and remove the sleeve. After cleaning the equipment, operators reinstalled the connectors, repeating this process several times each shift to ensure product quality. Above: The clamp and sleeve connectors caused multiple issues for Bob’s Red Mill Natural Foods. 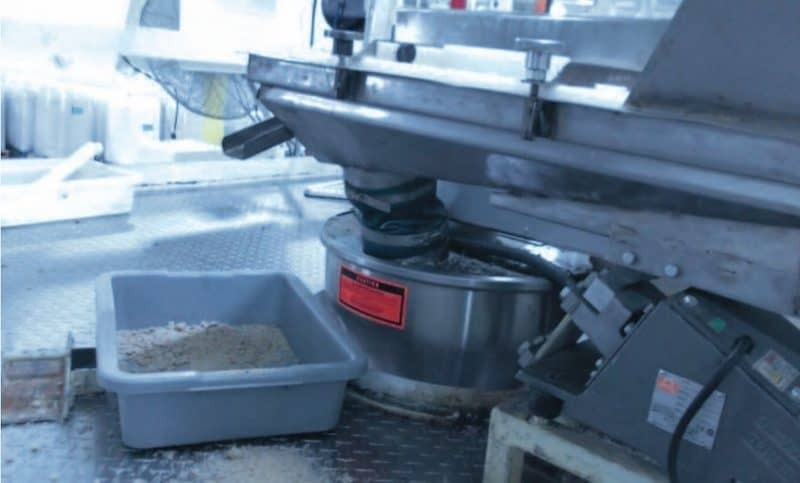 According to Bo Thomas, Bob’s Red Mill superintendent of engineering and maintenance, the clamp-and-sleeve connectors required a lot of maintenance and leaked product into the facility. 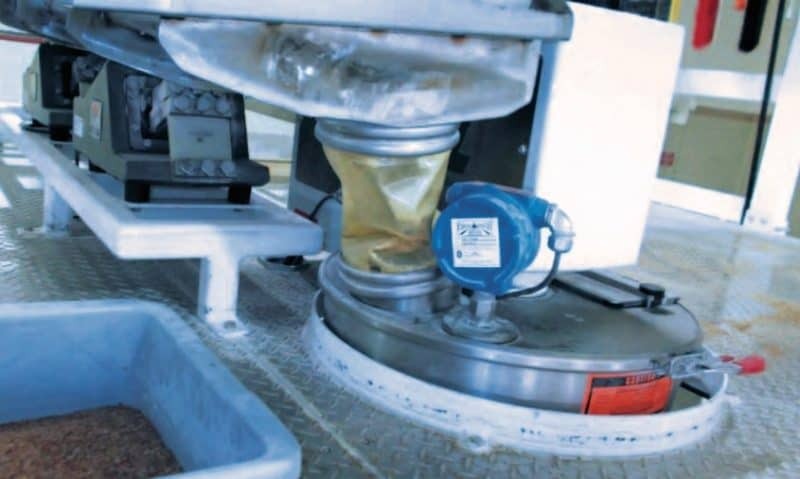 A standard clamp-and-sleeve connector between the vibratory screener’s discharge and auger feeder’s inlet often allowed material to leak out onto the equipment, creating housekeeping and maintenance problems. Thomas first saw the unique snap-fit BFM® fittings at a food expo. “When we saw the fittings, we knew they’d improve the equipment cleanout time,” says Thomas, who immediately ordered two custom BFM® connector fittings from the supplier. After receiving the flexible connector sleeves and spigots, the company’s maintenance crew disassembled the existing connectors, welded the spigots in place on the screener discharges and feeder inlets, and snapped in the connector sleeves. Above: The BFM® fittings installed have transformed product changeovers and eliminated any installation issues. Find out more about BFM Global Ltd.
BFM Global Limited manufactures and distributes the world's first tool free connector.The BFM fitting fits perfectly by hand everytime, is more hygienic, safer and more resistant to the rigours of powder movement than any other.With distributors scattered globally BFM Global Limited can supply to industries around the world.